Happy Friday! I had a nice easy week thanks to snow days and I'm looking forward to a relaxing weekend filled with Netflix. And I suppose I'll watch the Superbowl, although I really only pay attention to the commercials and half time show. I received my Cult Nails order earlier this week and knew that Iconic needed to be the next color on my nails. Iconic is a deep reddish purple with gold flakes. The flakes spread out easily and evenly and really give this polish some amazing depth and dimension. I used Cult Nails Nevermore on my ring finger and was seriously impressed. This is a true one coat super opaque black. 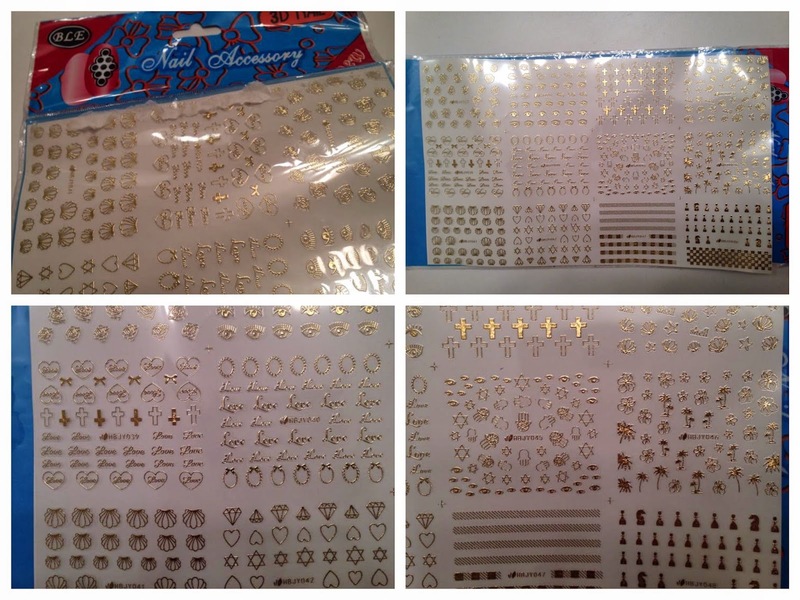 On my ring finger nail I used my new gold 3D nail art stickers ($4.96) from the Born Pretty Store. These were super easy to use! I used tweezers to peel them off the sheet and carefully placed them on my nail after the polish dried. I then used my thumb to gently press them down. Swipe on a top coat and that's it! 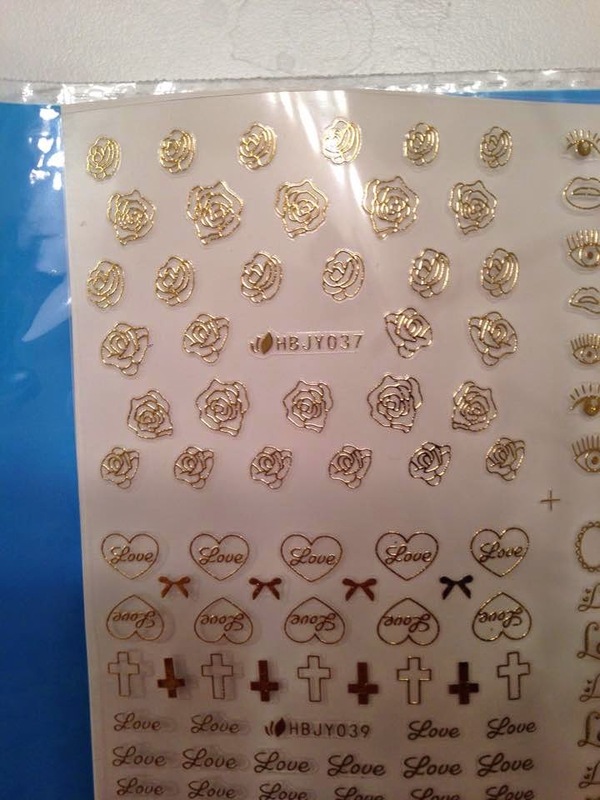 I can't wait to use these stickers for upcoming manicures. There are a TON of stickers in this set and I can't wait to use them! A close up of the rose stickers I used for this mani. I am seriously loving this mani and I'm excited to rock it this weekend. 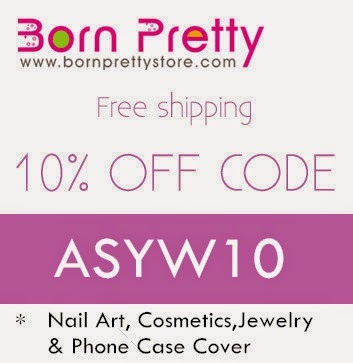 By the way, when you place an order with BPS make sure you use my discount code ASYW10 for 10% off! Have a great weekend everyone! Disclaimer: The product in this post was provided for my honest review. All opinions are my own.